And since 2012, I’ve responded with a fairly uninteresting explanation, all the time quietly wishing I had dreamt up a more creative, inspiring backdrop to the company’s inception. In truth, my reasons for choosing Wild Orange Media were far from creative. If anything I was clutching at straws by the time I stumbled upon the solution. During my 20 years working inside large corporations, I got to work with dozens of marketing agencies, many of whom go by quite unconventional titles. Alongside the predictable abbreviations of the founders names (SMP, RKH, VCCP), I’ve worked with ‘Three Monkeys’, ‘Vivid Lime’ and ‘Razorfish’. It seems that in recent years the fashion has allowed companies in our industry to come up with ever more creative labels for their businesses. But this trend is not simply driven by creative whim. It is, I believe, predominantly fuelled by a much more down-to-earth necessity: to create a name that stands out amongst a sea of competing offerings in our digital age. I was a new business start-up virgin when I sat down with my laptop on 12th April 2012. But I did know I needed to give my company a name so it could be registered. And I would need both a .com and a .co.uk web address so it could exist in the online world. And that’s where, for me, the problems began. If you’ve never registered a domain name before you may not appreciate just how many web addresses have already been taken. To find out for yourself, hop over to a domain registry like GoDaddy and start searching for a URL you’d like to register. If you’re lucky, your name may be available, as long as your parents gfted you with a distinctive title. If you’ve been saddled with “John Smith”, you’ll need to stump up around £40,000 (US$50,000) to wrestle www.johnsmith.com away from its current owner. Thankfully, there are lots of additional Top Level Domains (TLDs) that allow you to register URLs like www.johnsmith.uk or www.johsmith.ninja, but many of the highly prized .com and .co.uk domains have long since been snapped up by someone else. And so, when looking for a name for my company, I started by typing in ideas. I tried my name, but that seemed a bit too obvious and narrow. I tried types of animals, names of technologies, places I’d been on holiday. But, no matter how random my ideas became, I struggled to find anything that sounded reasonably credible where both the .com and .co.uk domains were still available. And then, an epiphany. 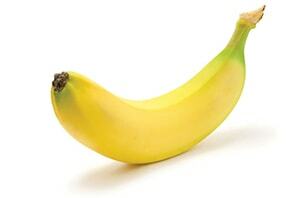 After several hours of unproductive searching, I found inspiration in a humble banana sitting on my desk. I frantically began searching against the names of fruits. Apple.com? Drat, someone’s already got that! BananaMarketing.com? Unbelievable! Someone’s already sitting on that domain. Even Startfruit.com had been snapped up. Finally, in desperation, I turned to Wikipedia.org and typed in “List of Fruits”. A helpful page appeared with a lengthy list of culinary fruits. I had at least had the foresight to figure out that naming my company after a poisonous fruit might not be wise. I worked my way down the list from the top. Apricot, Blackcurrant, Crowberry…? As I neared the end of the page, I was in a growing state of panic. Still nothing. Then, magically, I happened upon Wild Grape. “Hmmm,” I thought to myself, “I like the word Wild. That’s unusual, and in keeping with my non-conformist character.” But grapes are small and come in bunches, and people might think I’m a wine seller. Keep looking. And there, just one row down, was my saviour. 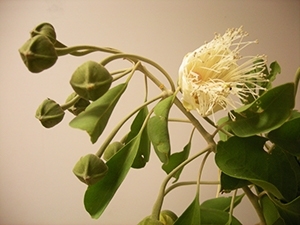 Capparis mitchelli, Capparacae, the ‘Wild Orange’. Apparently it’s an Australian native plant that provides “tasty bush tucker food” and is still commonly eaten in the desert today. That’ll do! I liked the name, and by now I was on a roll. I searched but couldn’t find any references to competing companies using the ‘Wild Orange’ name. And, miraculously, both the .com and .co.uk addresses were available, success! I added the word ‘Media’ on the end to provide a relevant hook to the marketing industry. I naively imagined that might save us from a lifetime of taking calls about importing weird fruits. And then I did it: I paid for the domains www.wildorangemedia.com and www.wildorangemedia.co.uk. The company was born. In an exhausted state of euphoria at having completed this seemingly simple task, I retired to the lounge for a cuppa. That’s when I should have been dreaming up a clever explanation for the name. But I had other fish to fry. There were talks with accountants, company registration paperwork and my excitedly designing a primitive orange-based logo for my new business. When we moved to a new web platform in 2014 I finally had time to revisit the logo and origins of the company name. What is, I wondered, a wild orange anyway? Much to my amusement, far from being a tasty citrus orange as we know it, a wild orange is actually a type of caper that grows on trees up to six metres tall. It’s not even orange, ffs, it’s olive green! I probably should have spotted the caper connection in the Latin name capparis mitchellii, but Latin was never my strongest language. And, by this point, there was no turning back. Wild Orange was our name, and very orange coloured we were too. The name has served us well. It’s still a great conversation starter and it has helped us build a successful growing business with hundreds of clients around the world. Wild Orange Media remains our company name. We’ve grown very attached to it. And, besides, we’ve bought too much orange stuff now. 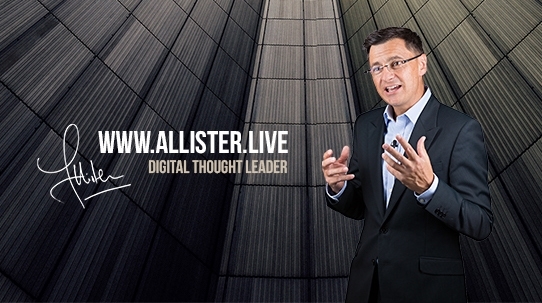 However, to make things more confusing, we’ve just launched a new website at www.allister.live, and that’s where I’ll now be blogging and sharing updates about our escapades supporting sales and marketing professionals around the world. Why this change? We’ve found that increasingly, our clients just want to work with me (Allister) so we figured it would make sense to now build that brand, while continuing to trade as Wild Orange Media. The business remains small and perfectly formed. I do almost all of the development and delivery work and Angela helps with the finances and keeping my schedule up-to-date. Occasionally I get to bring in freelancers to help with client projects where their skillset exceeds mine in areas like analytics, web design and coding. By keeping things lean we avoid the hefty overheads of many other marketing consultancies and groups. And, more importantly, I get to put my personal touch on everything we do. So that’s the (not very exciting) story of how Wild Orange Media came to be. Please go check out our new site and let me know what you think. Happy Friday!